Dubai, United Arab Emirates, June 13, 2018: Visitors to Dubai Festival City, Al-Futtaim Group Real Estate’s fully integrated mega project, is set to have a memorable make Eid Al Fitr as the destination offers a variety of entertainment, deals and offers across the Mall and Hotels. 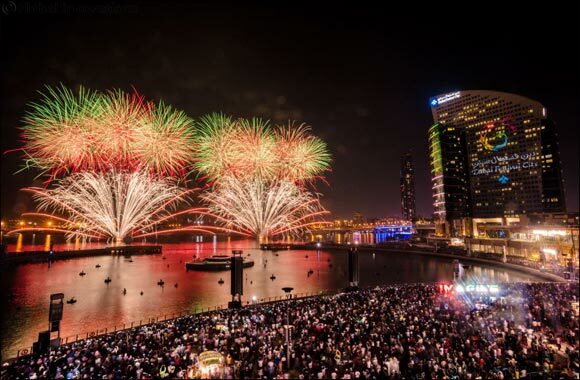 Dubai Festival City Mall (DFCM) is celebrating the joy of Eid Al Fitr with two extravagant musical firework displays on the evening of Friday*, 15th June 2018. Shoppers are encouraged to visit the Mall with friends and families to catch the fireworks as well as experience “The Walking Box” entertainment which will take place over four days. Shoppers at DFCM can still experience the Disney “Magical Wishing Well” and enjoy the IMAGINE shows every hour after sunset. • Anise is celebrating the joyful occasion with a three days culinary journey around the world with authentic flavours spread over eight live cooking stations. • At The Fish House, indulge in the freshest seafood in town with your family and friends featuring live entertainment and rich flavours of the sea. • Sirocco at the newly opened Holiday Inn Dubai Festival City provides the perfect laid-back atmosphere for an Eid celebration with your loved ones offering delicacies featuring a selection of traditional and international dishes. • Zaytoun Al Soufra offers a spectacular Al Soufra dinner of the finest Arabic starters, mains and desserts in the al-fresco style dining of Zaytoun. • Al Areesh Club, Dubai Festival City’s family-friendly sports and social destination, is offering 30% off on annual membership and 10% off on six months memberships.